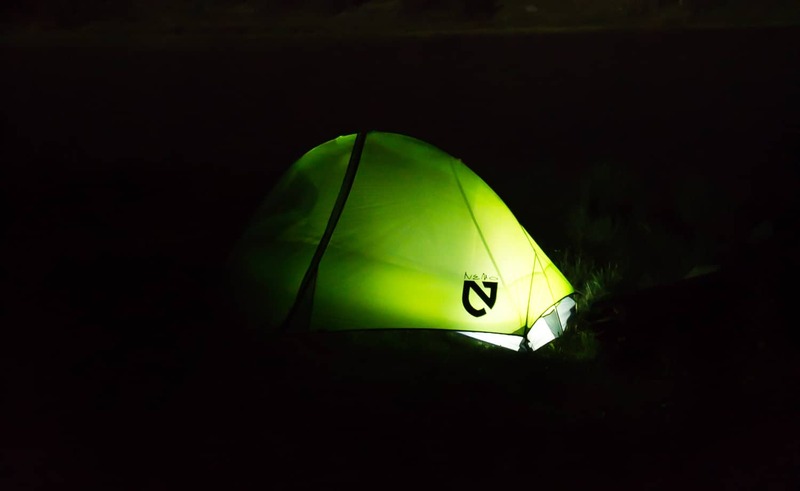 If you are looking for an excellent Colorado Springs campground and enjoy the “car camping” experience of the state park system — look no further than Cheyenne Mountain State Park situated just south of Colorado Springs. 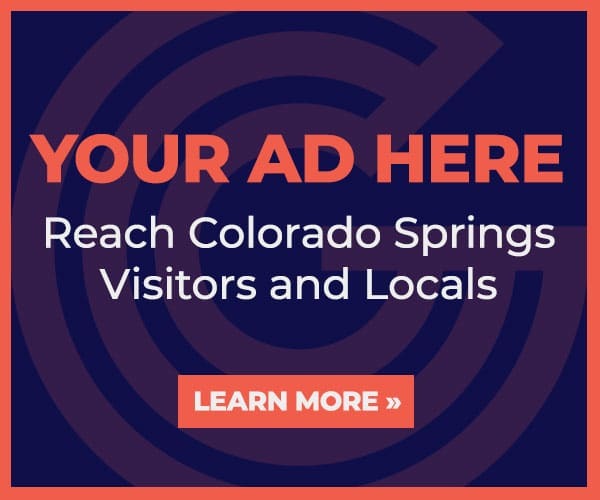 This spectacular 2701 acre open space is a mere 10-minute drive from downtown Colorado Springs and close to other Colorado Springs attractions such as the Cheyenne Mountain Zoo. 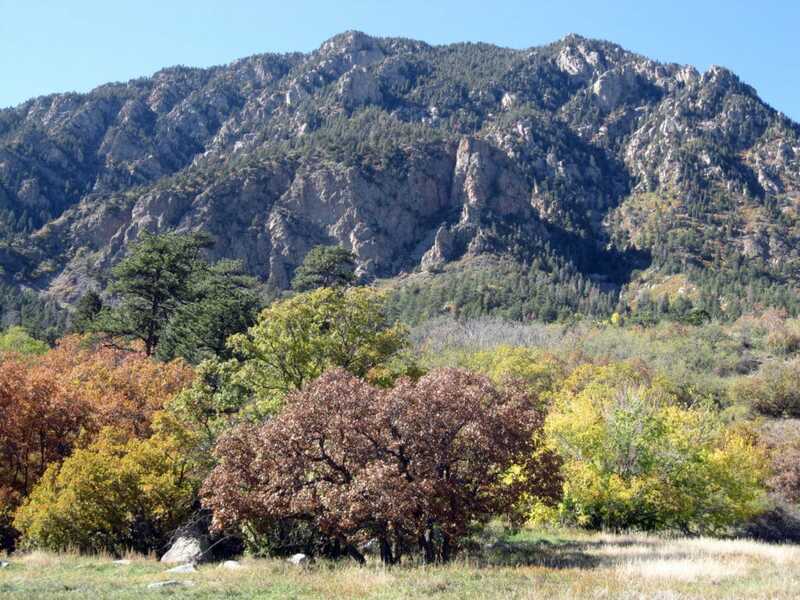 The Colorado Lottery produced this nice video overview of Cheyenne Mountain State Park. Cheyenne Mountain State park offers 51 full service campsites and 10 walk-in tent sites. The sites are spacious and spread out over four campgrounds. This is great for RV camping and locals will sometimes drive their RVs to their own Colorado state park, rather than leaving the area! Yep, there’s room for you too tent camper people! A camper services building is situated in the center of the campground loops. It is open from April to October and offers an activity room, laundry, and coin-operated showers. Kids will enjoy the nearby fenced playground area. Camping is year-round, but limited in the winter months to whichever loop the park makes available. Pictures and details for every campground site are available on the Colorado State Park website. 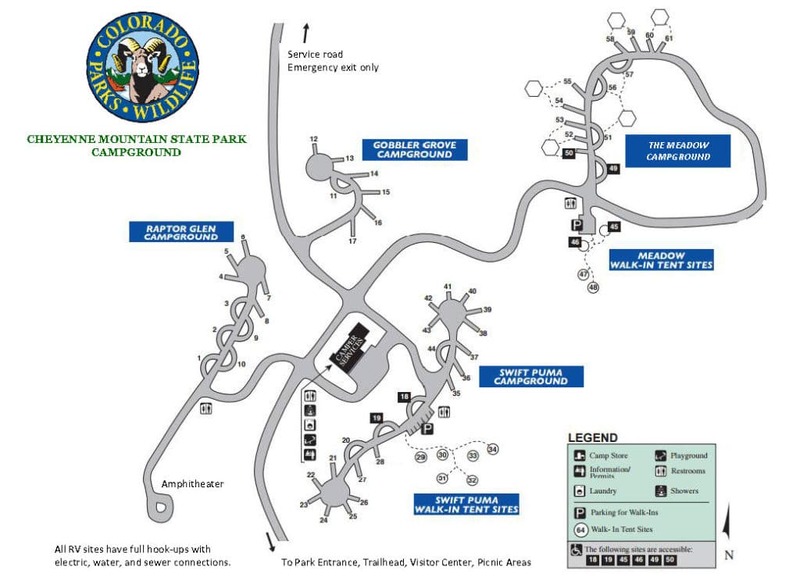 Map of the Cheyenne Mountain campground sites. Hikers, bikers, runners, and equestrians rejoice: over 28 miles of diverse and varied trails await you. 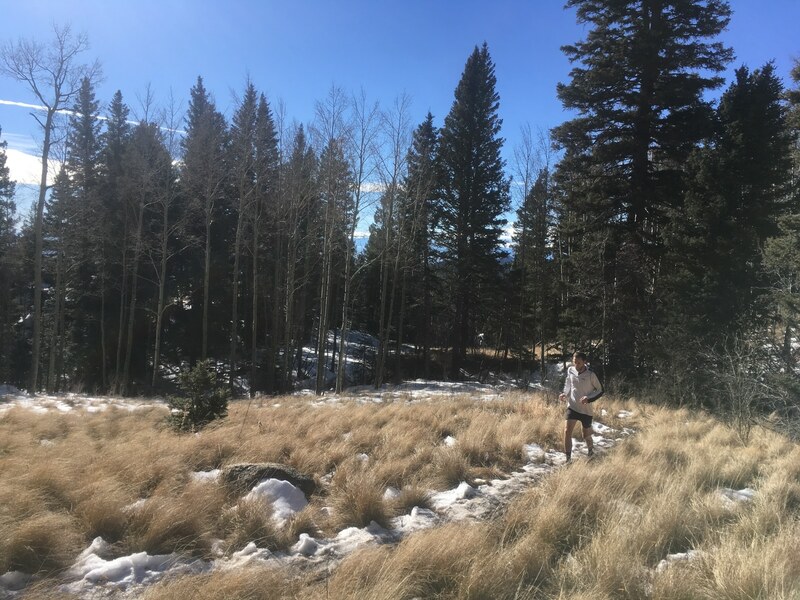 The lower trails snake through a prairie ecosystem around an elevation 6000′-7000′, while the highest reaching trail (Dixon) ascends Cheyenne Mountain to an elevation over 9000′ — complete with cool mountain air and forests. So drastic is the elevation change, it’s not uncommon for the lower trails to receive rain while the upper trails receive snow. There is a trail all the way to the top of Cheyenne Mountain! The Fall colors aren’t bad either! While die-hards may revel in the elevation gain and technical trails, don’t get intimidated! 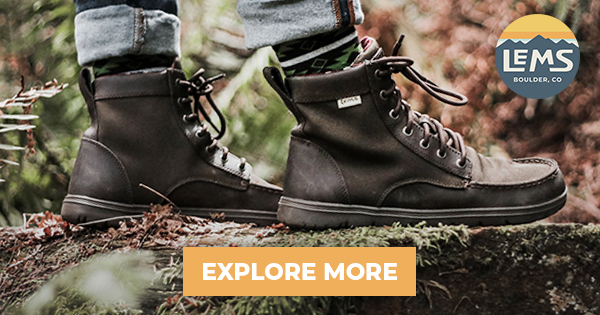 There are plenty of trails for casual hikers, kids, flower lovers, and wildlife watchers! The Limekiln Trailhead has parking and easy access to the trail system alongside restroom facilities, a playground and picnic tables. Further into the park there are 41 day-use picnic areas with their own picnic table and grills. These are all handicap accessible. It’s hard to beat these picnic views! 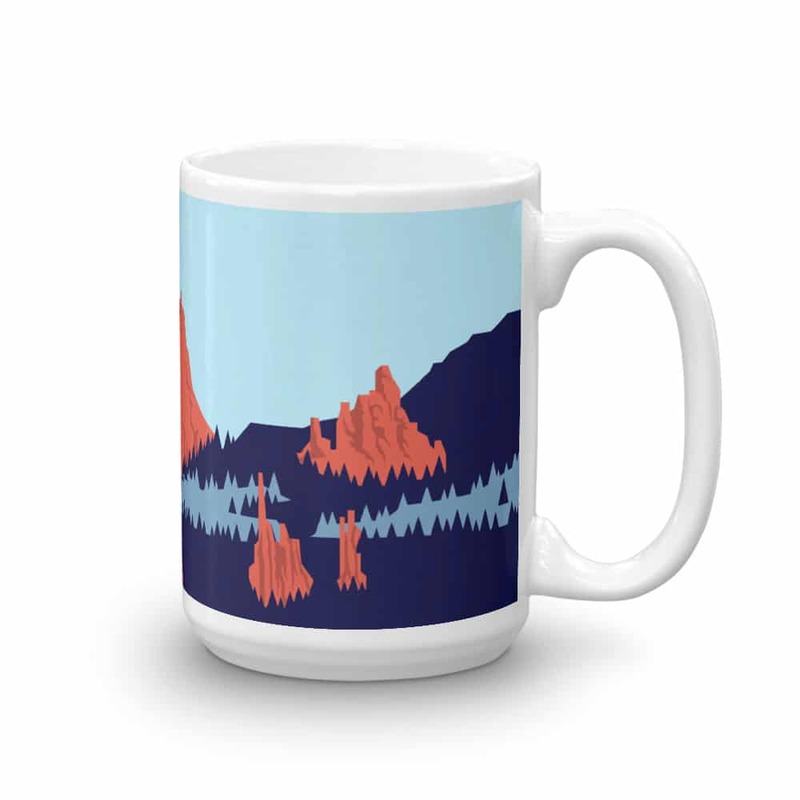 Can you Climb Cheyenne Mountain? Yes! 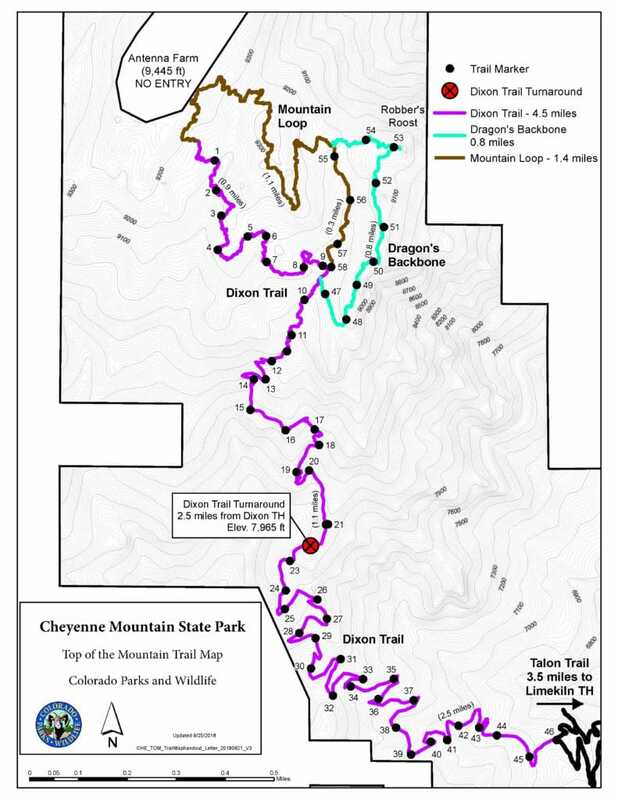 2018 saw the completion of the Dixon Trail to the top of Cheyenne Mountain itself. 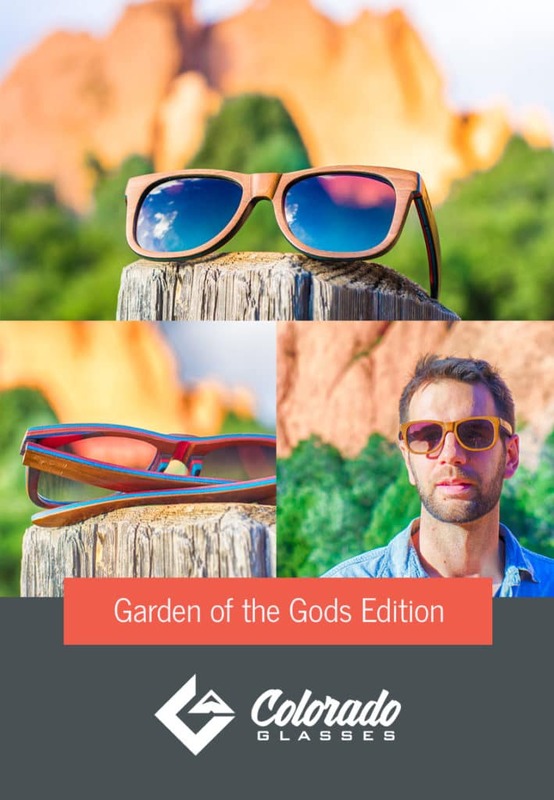 This project has been in the works for years and its completion was celebrated with a trail race up and down the mountain (hard!). The elevation of Cheyenne Mountain is 9,564′. From the Limekiln trailhead, summiting Cheyenne Mountain via the Dixon Trail is a 17+ mile roundtrip with over 3,000′ of climbing and rocky terrain in places. For those with the physical fitness, the trail is magnificent and offers a rocky spine along the summit area called the Dragon’s Backbone. Aptly named, the Dragon’s Backbone is a thrilling and exposed scramble. Those planning on attempting the Dixon Trail need to be prepared for wilderness conditions. Bring plenty of water, snacks, and clothing layers. Eric enters a meadow along the upper reaches of Dixon. How is he still running?! Colorado Springs Best Mountain Bike Downhill? Colorado Springs has excellent mountain biking. Palmer Park, Captain Jack’s, and The Chutes are among a few of the best. However, many locals overlook the fun flows of the North Talon trail! Get a taste of riding the North Talon mountain bike trail. 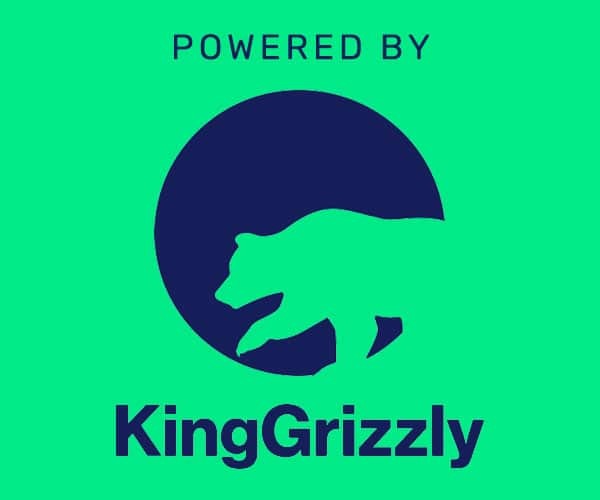 Courtesy of Nate Pittenger/YouTube. 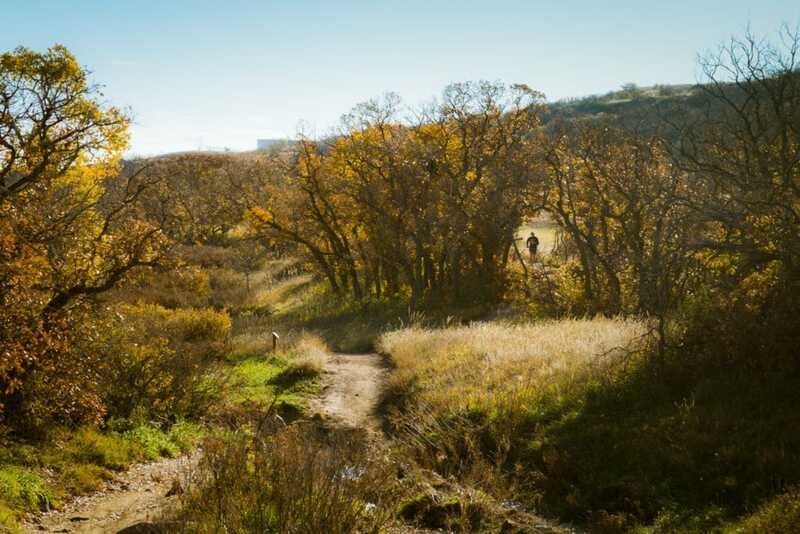 Mountain bikers will love the upper trails (try the Talon trails) and find some extremely challenging rocks along the Medicine Wheel Trail which is a half mile bonanza of obstacles. 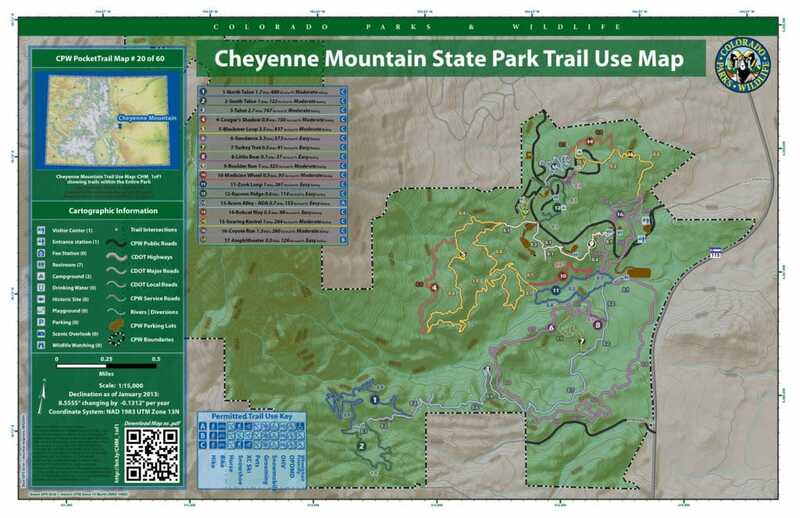 Beginning mountain bikers will also find Cheyenne Mountain a good place to learn, with many forgiving and wide trails. Given the extreme elevation gain Cheyenne Mountain offers, a wide array of plants and animals call the area home. With over 100 species of birds known to inhabit the park, bird lovers aren’t likely to run out of discoveries. Spotting elk is a special occasion. For those who might be startled at the prospect of encountering a large animal like a bear or mountain lion, know that sightings are rare — these animals like to keep to themselves. 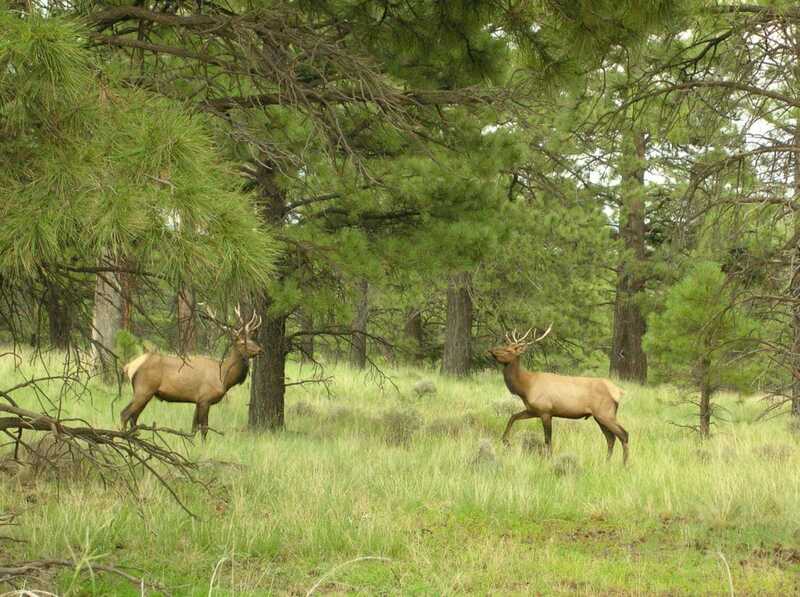 Regardless, be sure to follow all posted guidelines regarding camping and hiking in these big animals’ habitat. An excellent visitor center greets park visitors upon entry. Exhibits, clean restrooms, programs, and helpful park staff provide a great way to begin any visit to the park. While visiting the park, be sure to check out some of the programs. 7-12 year olds will enjoy an award-winning junior ranger program and there are many other interpretive and educational opportunities including guided wildflower and bird hikes. Believe it or not, Cheyenne Mountain State Park also offers an archery range featuring a static range, state-of-the-art field and 3D range! Don’t worry, the archery range is not in the same location as the hiking trails! The field and 3D range includes life-sized animal targets along a walking trail. The static archery range has a nice sun shelter and a variety of 10 – 80 yard targets as well as restrooms, picnic tables, and bow racks. The range is located off of Highway 115 at Pine Oaks Road, across from Gate #5 at Fort Carson. The park offers some great event venues. The park could be a create place for a wedding! Other group options include the Prairie Falcon Amphitheater which can accommodate 160 people, and two indoor meeting spaces in the visitor center. 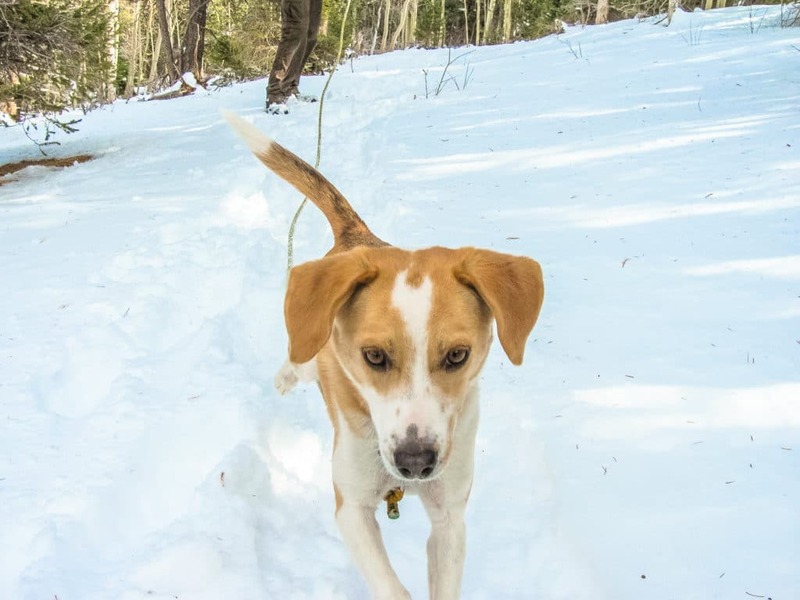 Are Dogs Allowed at Cheyenne Mountain State Park? Sydney bops down a trail. Dogs are welcome in all developed areas, campgrounds, and picnic areas. Dogs are permitted on the trails, just not all of them. A few of the trails may or may not allow dogs (the park seemed to be experimenting with this). Due to the abundant wildlife in the area, dogs on the trails have to be carefully managed. What are you waiting for? 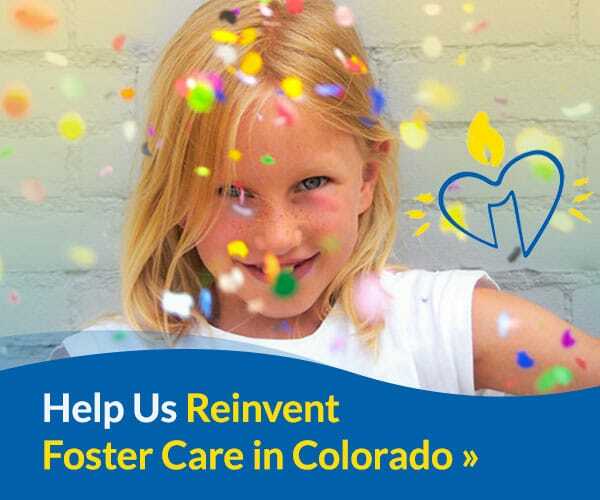 Visit Cheyenne Mountain State Park and tell them we sent you!